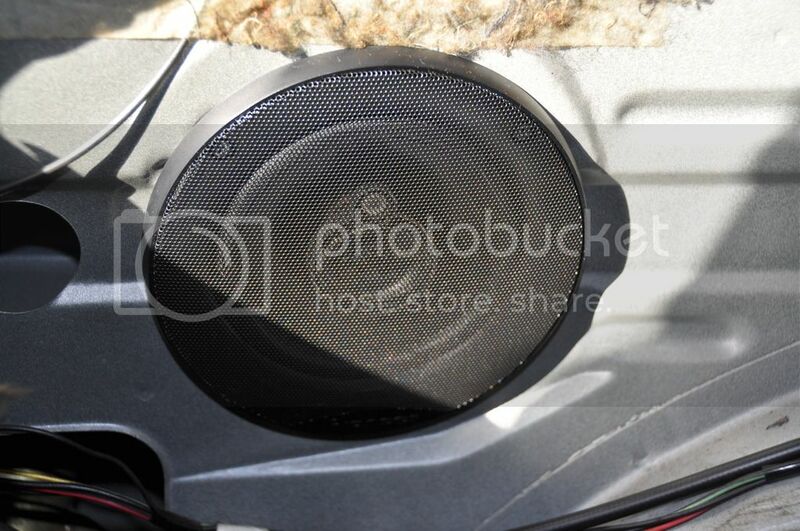 Rear speakers guys......from memory they are 6" and 6.5" is standard speaker size but can they fit under the original plastic (allowing for the rear magnet) One seems to be blown on mine and thought it would be good to update all four. I know they're 4" in the front. When installing I will mount them to thin MDF to give better sound as found in this AusRotary thread. For rears i prefer to go for a 6 1/2" 2 or 3 way or even split. in Stock location. I fitted Alpine type R splits and had to trim a little for them! You'll want to make a bit of a panel up to mount the speaker to the factory position. Go for some thin MDF like 3mm -5mm as your more just wanting a FLAT mounting surface to seal better against the speaker. Also use something to fill the little gaps in between MDF panel/spacer for better bass! I use sound deadener cut to size. Also fill holes on panel surface and deaden the entire panel if you have enough. To fit 6x9's here is alot of cutting is involved and you still only have a 6" hole on the plastic trim. HARD WORK DON"T PUT EM HERE! On the rear of the car where you have the carpet going around the little boot light..... You can mount 6x9"s there with a little bit of work. I just marked out on the carpet and cut out 6x9 holes. Cut out panels to mount 6x9's onto. got some right angle brackets from bunnings and mounted panel vertically behind carpet into position. 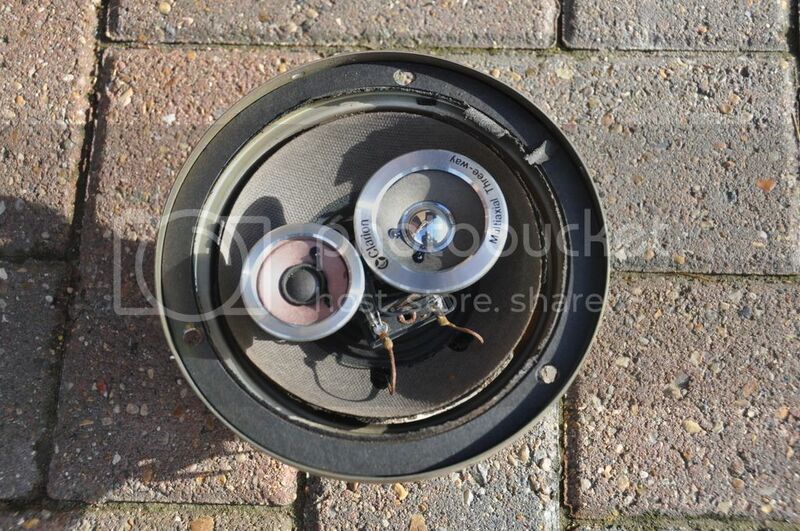 traced outhole for 6x9 and mounted speaker from the front through the carpet ... Looked like they were meant to be there and the extra room behind there helped with bass a little. -Make panel go as far up, left,right, and to the floor as much as possible. - I made 3 panels so looking from the top it was a bit like the letter C. The middle panel takes up the space under the boot light. - Use AT LEAST 10mm or above to mount speakers. - Use sound deadening around the panels to seal gaps against the metal frame. if sealed properly you get so much more bass and quality. Has anyone done this or have any other suggestions? Thanks in advance! Was the size a straight swap? Would you have had to make a cut for anything bigger? No Messing at all, fixed straight in without any adapting, used the same screws, even wiring connectors the same size. Yes 6.5" speakers fit in factory location under the plastics with no mods, but maybe stick a ruler in there and bring your ruler with you to the speaker shop to make sure the magnets wont foul on anything. But in my opinion it may be preferable to disable the tweeters (or just run woofers in other words) and filter out the high frequencies to the rears if the head unit allows you to do so and you are running nice front speakers. 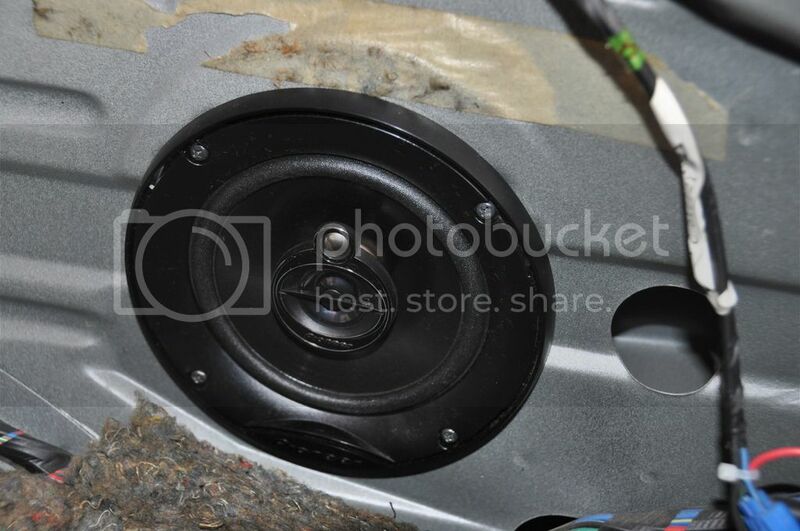 The 1st gen rx7s are notorious to be able to get decent sound out of the standard speaker locations. In an ideal world you would simply put a nice pair of 6" splits up front (which means cutting holes) no rears and a nice sub in the boot and have perfect sound but alas, not every one wants to cut holes or mount wanko speaker pods on the doors. This thread starts off suggesting 6-6.5" speakers, yet I just measured the aperture and it measures just 5"? They are 4ohm and 50W RMS, so seem technically OK, but I eventually found the dimension data which stated the aperture required is 5 and 5/8 inches, so too big. Pete's post above with an ebay link looked hopeful, but the item on that link is no longer listed. 6.5's should be fine, all I had to do was cut some rings out of 10mm mdf to bring the speaker out a bit, still room to get the original plastic covers back on. Standard fitment is 4" fronts and 5.25" rears. Fitted 6.5" into the back of mine. I needed spacers to allow the speaker to clear the factory hole. You can get pre cut mdf spacers for a couple of pounds from eBay. Sealed up all the holes and added some more sound deadening. Sounds better but still not massive bass. After a lot of pondering I settled on a pair of Pioneer TS-G1333I speakers, just £27.50 delivered from Amazon. They have a 13 cm cone, so slightly smaller, but the overall physical dimensions looked good. The speaker spec was similar; 4 ohm, 35W nominal power, 3 way type). Got them yesterday and fitted them today and it turned out to be a doddle! The sound is fine - nothing spectacular, but good enough, given the poor mounting enclosure.